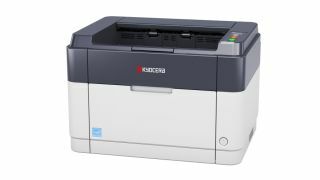 Kyocera Document Solutions UK Limited has launched a range of entry-level monochrome and multi-function printers aimed at small to midsized businesses and home office buyers. There are five models in the range, the FS-1041, FS-106 1DN, FS-1220MFP, FS-1320MFP and FS-1325MFP. Common features on each model include a quiet mode button, a print drum that can produce up to 100,000 prints and a replaceable toner, eliminating the need for cartridge exchange. Most have a printing capacity of 20 A4 pages per minute, except for the FS-1325MFP which can produce 25. Toner yields are 1,600 pages on the FS-106 1DN, FS-1220MFP and FS-1320MFP, and go up to 2,100 on the FS-132MFP. The top two models in the line also have a fax capability, and the premium FS-132MFP has USB and network connectivity, plus automatic duplex print. Steve Mitchell, Group Product Marketing Manager for Kyocera, said: "This entry-level range is something of a departure for Kyocera and lets us bring our exceptionally low printing costs to SMEs, SOHOs and the homeworker environment where reliability and performance is a prerequisite and space is at a premium."